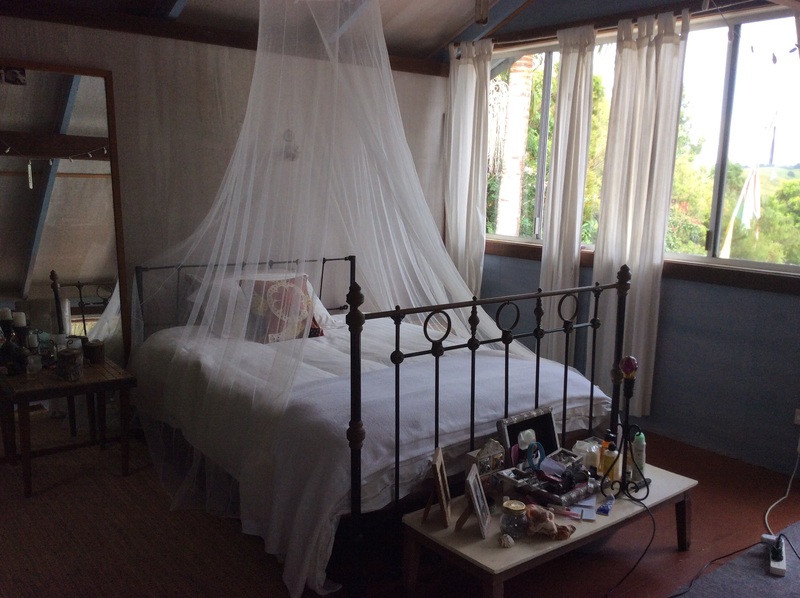 We live in an old converted shack in the hills just behind Byron Bay. Our shack is a converted cow bales, relocated onto the property many years ago by the previous owner and set up as temporary accommodation. It’s a little beauty and just big enough for three of us to live in comfortably while our house plans are sorted out. We’re back to simple living and loving every minute of it as we settle into our new life in the beautiful northern rivers region. We don’t know much about the shack, where it came from or how old it is but there are certainly a few of them around this historic farming area many of them tucked away in private locations now converted into some form of accommodation. We’ve seen some classie examples of the humble shed converted into highly sought after weekend B & Bs, permanent rentals and in some cases even primary accommodation. When we were looking at buying this property the shack was the last tantalising building we were shown. I remember thinking it was a cute little place but didn’t think too much about it’s potential until we moved in a few months ago. Bit by bit the ideas on how we’ll use this space are slowly coming together and as we develop our farm over the next few years the shack will definately offer some great options including a venue for family get togethers, a space to run workshops and maybe even some temporary accommodation. The shack is a little bit DIY and can definitely do with some improvements but if you know what you’re doing relocations can be a great way to save money and repurpose perfectly good items. You have to be selective when choosing second hand though or you can spend an awful lot of time and money trying to retro-fit unsuitable pieces and since none of the old farmhouse windows close at all it’s time for them to be replaced. 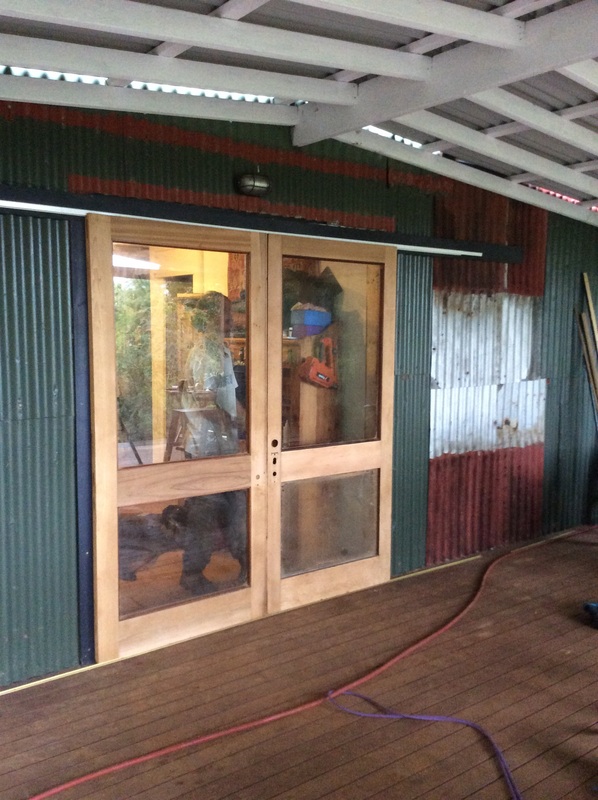 After finding some great replacements we spent the Easter weekend fitting a second hand bi-fold window in the kitchen and converting a set of beautiful old cedar doors into space saving sliders. 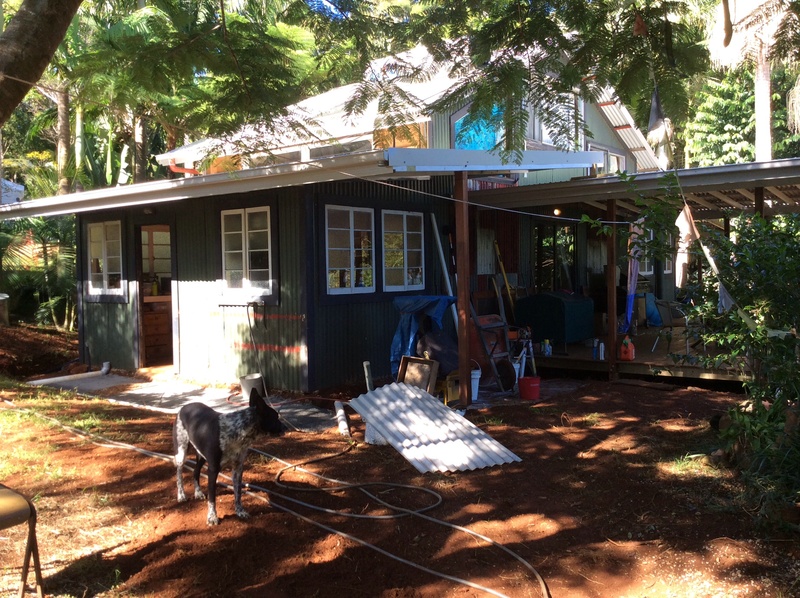 Some time ago we added a deck and awning and fixed the roof adding decent overhangs along the north and south sides of the building both for shade and protection from the rain. The deck has been an excellent addition and our daughter Maddie is already taking advantage of the space using it for weekly yoga sessions. One of the things I love about the shack is it’s small ecological footprint. 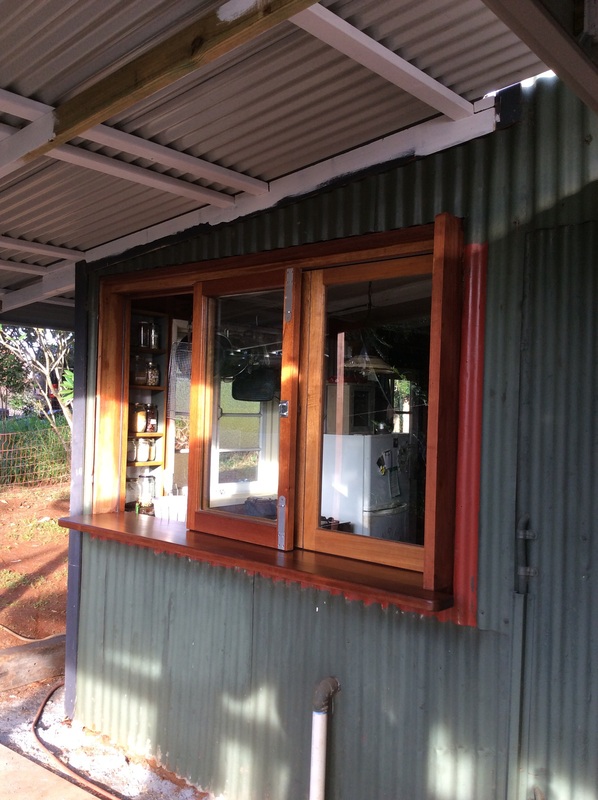 At only sixty square metres the shack is jam packed with some impressive sustainable features like a really efficient solar hot water system, composting toilet and a solar roof vent which helps cool the upstairs area. We re-use grey water from the shower and laundry for fruit trees and can now store close to fifty thousand litres of rain water thanks to our new tanks. As we’re only four kilometres from the coastal sea breezes our new roof overhangs and louvre windows will provide cost efficient cooling and cross-ventilation and we’ll run a small combustion stove using our own timber during winter. Our next job is to get the herb and vegie patch up and running so this week we’re busy landscaping and getting the new beds ready for some serious autumn planting. With any luck, a couple of my compost batches should be ready just in time for our very first WWOOFer who’s arriving this afternoon. Can’t wait to introduce her and update you on our progress.